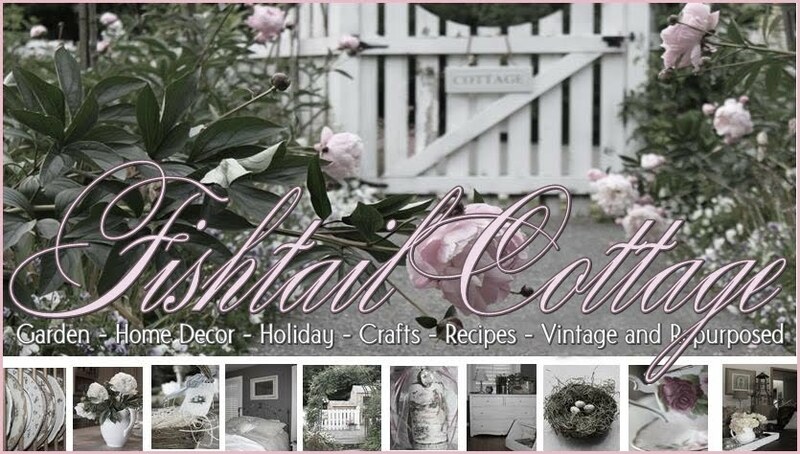 Fishtail Cottage: Adorned Cottage… "
So beautiful are Cottage Garden’s adorned in Statuary's and wrought iron. A little cherub hangs from the main archway to the house. Love cherubs in the garden – there is a sense of peace finding them in garden nooks. I have loved watching these bird baths grow various annuals around them and have seen them enjoyed by many species of birdies. 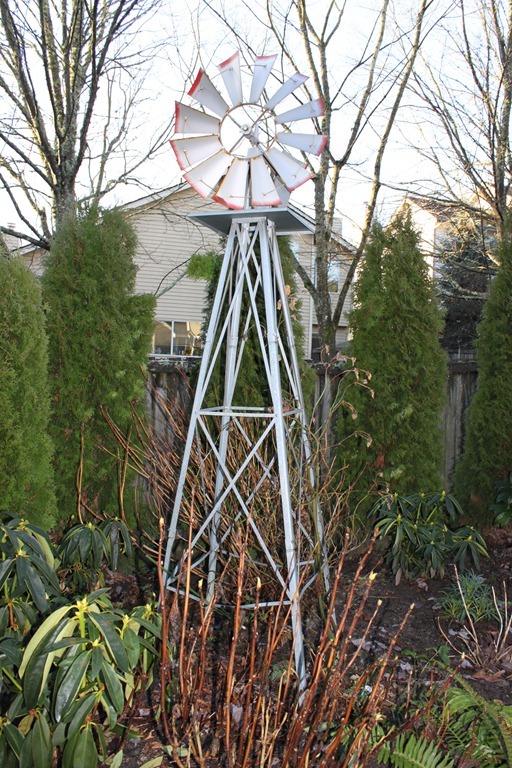 I acquired this windmill from a family member after their passing – so lovely to see that life of this beauty has carried on her spirit. Just a few of my cement urns awaiting a floral display of flowers soon. Although this is emptied and off for the winter, in the summertime, all sorts of birds come for a splash and a visit for water. Next to it, I have nyjer provided for a snack. Sitting on the bench to enjoy the “life of my garden” is one of my favorite places to be. So many little treasures to see amongst your flowers...I do love the windmill...I am still hunting a low birdbath for my "fairy garden"...Currently the top of my large one is sitting on the ground out there...I am scared if we put it up on the stand she will pull it down on herself. What lovely garden ornaments. Thank you for sharing them with us here! 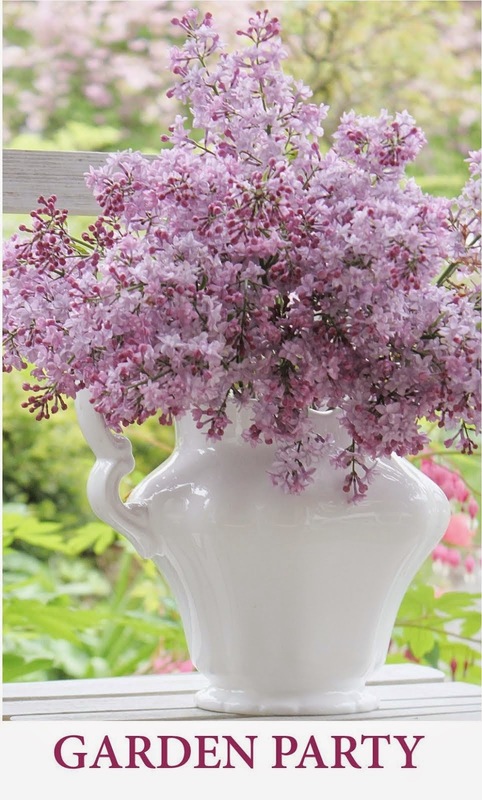 What a beautiful garden and home- thanks for sharing by linking up to the Tuesday Garden Party! 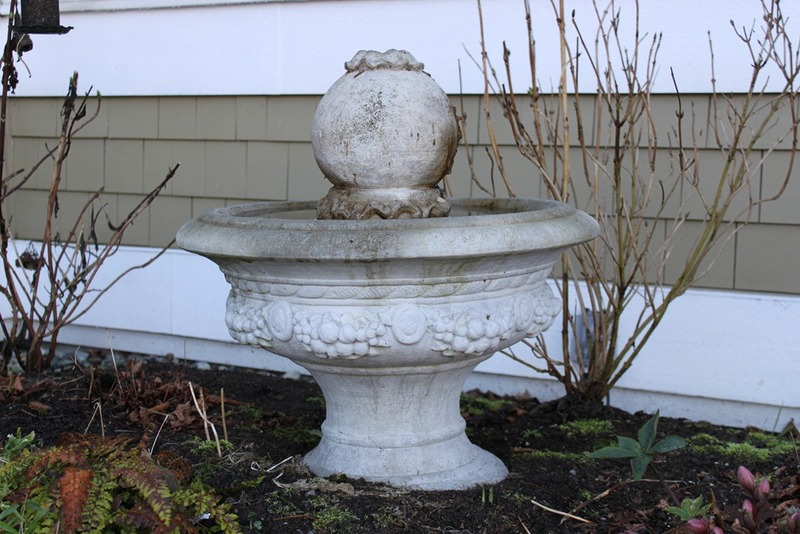 I love your cement urns, fountains and baths- can't wait to see them with flowers all around them. And you do all this AND mother 7 kids? Amazing!